I completely forgot I had this product and when I first got it, I never really used it. I was always a full coverage, full face kinda girl but I've had such problems with acne/blemishes on my skin. Now, I've realised how much better it looks, in the short and long term, when I wear a light foundation. So after some pondering I thought I would give this product a go! This product is not matte, but its doesn't 'glow' so its suitable for all skin types, and looks extremely natural. It doesn't shimmer or glitter [I hate glittery faces - YUCK] It just effortlessly evens out your skin tone. I like to apply with my fingers and then finish blending with a damp sponge. Its a sheer coverage so it won't cover lots of blemishes, but I like the look of a light foundation combined with a good concealer. I would also really recommend this for mature skin. I use it on my mum and she looks fab! Its widely available in the UK & US, and its only £20 for 45ml. [Nars Sheer Glow is £29 for 30ml] I like the packaging, but it doesn't blow me away. Its just nice and simple. The product simply squeezes out the tube. 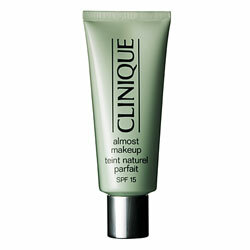 Don't forget unlike a tinted moisturiser, this product will not add tan. So if your looking for that 'bronzed goddess' look, try adding a creme bronzer. Under-Eye Concealers - Secret Costs?